The Pali for “Noble Eightfold Path” is Ariya Aṭṭhangika Magga, literally the “Aryan Eight-Limbed Path.” Nowadays, the word “Aryan” has negative connotations because of its appropriation by Nazis and white supremacists, but in ancient Pali it meant “noble” or “exalted,” and Buddhists reserved it as an honorific for practitioners who had reached a high level of realization: stream-enterers, once-returners, non-returners, and arahants. The name “Noble Eightfold Path” is a bit misleading, because it’s not so much the path that’s noble, as it is the path that nobles follow to attain realization. The Noble Eightfold Path is the path alluded to in the Fourth Noble Truth: the path towards release from suffering. It’s the Buddha’s prescription for what ails us. Traditionally, the Eightfold Path is subdivided into three aggregates: wisdom (pañña), virtue (sīla), and concentration (samādhi). The wisdom aggregate has two components: right view (sammā ditthi) and right intention (sammā sankappa). Right view, at an initial level, is an understanding of karma — that actions have consequences — as well as belief in rebirth and the possibility of liberation. At a higher level of realization, it is also the ability to directly perceive the three marks of existence: unsatisfactoriness (dukkha), impermanence (anicca) and non-self (anattā) in all compound phenomena. Right intention involves both a renunciation of clinging, and the adaptation of an attitude of good will and non-harming to all beings. 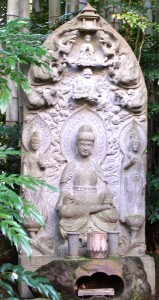 The virtue aggregate includes the components of right speech (sammā vācā), right action (sammā kammanta), and right livelihood (sammā ājīva). Right speech refers to abstaining from lies, backbiting and slander, abusive and hurtful speech, and frivolous talk. Right action involves adhering to the ethical precepts of abstaining from killing, stealing, sexual impropriety, and intoxicants. Right livelihood means earning one’s living in a way that adheres to the precepts. Certain occupations are specifically proscribed for Buddhists including trafficking in human beings, weapons, meat, intoxicants, and poisons. The concentration aggregate also has three components: right effort (sammā vāyāma), right mindfulness (sammā sati), and right concentration (sammā samādhi). Right effort means developing control over one’s mental state by abandoning unskillful thoughts, preventing unskillful thoughts from taking hold, and reinforcing skillful thoughts. Right mindfulness means cultivating awareness of bodily sensations, feelings, mind, and mental objects in all one’s activities. Right concentration is the development of one-pointed concentration through practicing the meditative absorptions (jhānas) in order to have sufficient stability of mind to develop insight into the marks of existence. The Eightfold Path has both a mundane and supramundane level. On the mundane level one follows the path elements to prepare for stream-entry, but at the point of stream-entry all eight elements coalesce into the supramundane path from stream-entry to arahantship. One can think of each of the path elements separately, but one can also think about them as reflecting and reinforcing each other, like the jewels of Indra’s net, or like holograms, each element containing all the other elements within them. For example, right speech requires right intention, abstaining from intoxicants, abandoning unskillful thoughts and maintaining right mindfulness. When one is practicing one aspect of the path, one is reinforcing them all. So what do I make of the Noble Eightfold Path? After all, I’m an existential Buddhist who doesn’t believe in literal karma and rebirth. Since I don’t believe in literal rebirth, I also don’t believe in the literal meaning of stream-entry, i.e., being on the glide path to non-rebirth. According to the Theravāda map, I’m already hopelessly mired in wrong view. With the exception of the karma/rebirth issue, however, the Noble Eightfold Path still seems like a pretty good prescription. It emphasizes the importance of the interplay of intellectual understanding, intention, ethics, enlarging the heart, and meditation. Practicing one of these without the support of the others is probably the fast track to nowhere. Without an initial understanding of suffering, impermanence, and interdependence there is little motivation to practice. Just meditating, however, without the larger envelope of the intention to help all beings can lead to detachment and withdrawal. Trying to calm the mind while one’s immoral behavior is busy generating turbulence is like trying to erect a tent during a hurricane. 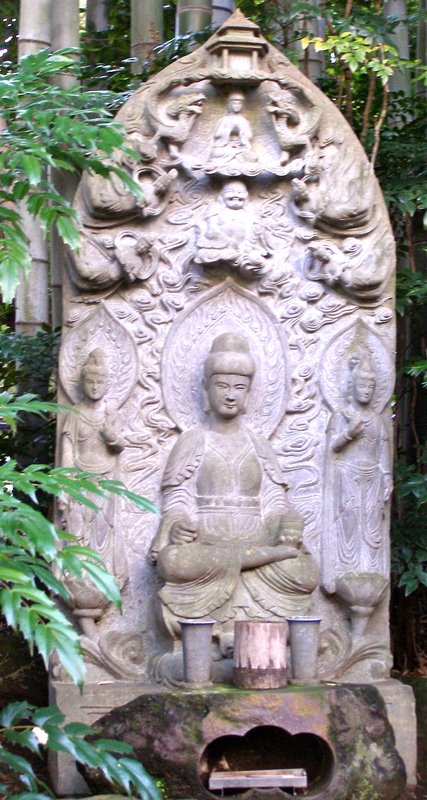 Rushing out to save beings without developing discernment, mindfulness, and equanimity is a recipe for what Trungpa Rinpoche called “idiot compassion.” Finally, a sterile intellectual understanding of Buddhist concepts without the direct experience of reality arrived at through meditation leads to a mistaking of the map for the territory. One haggles over concepts without ever touching the reality the concepts merely point at. Alan Watts called this eating the menu instead of eating the meal. Compassion, ethics, meditative practice, and intellectual understanding are all necessary components of paths to realization — however one imagines that destination — if we are to avoid drifting too far off, either to the left or to the right, and winding up in a side-ditch. Zen is the teaching or practice of seeing ‘things as it is’ or accepting ‘things as it is,’ and of raising things as they go.